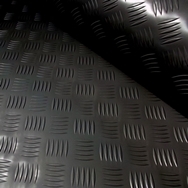 4mtrs long x 2mtrs wide (2mm thick) is ideal to be trimmed down to suit all Small and SWB vans. A raised checkered/chequered pattern is very popular at holding lose loads secure and giving a reassuring grip under foot. This excellent grip is very welcome by any Health and Safety official too. 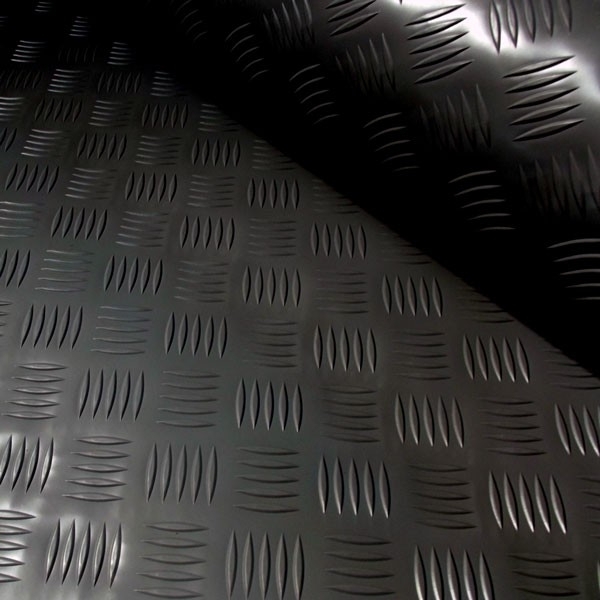 Produced from 2mm thick dense rubber helps to reduce that dull drumming road noise so often associated to vans. Making long journeys now a pleasure. Can be cut and laid flat in situe or held down with a spray type carpet glue.